As many of you know, I run a Mock Geisel at my school for the kindergarten and first grade students. I love exposing these students to some amazing literature, but it sure is hard to guess what books the Geisel committee is actually going to bless with an award! I often only have one correct book - in fact it is a celebration if I get any correct! 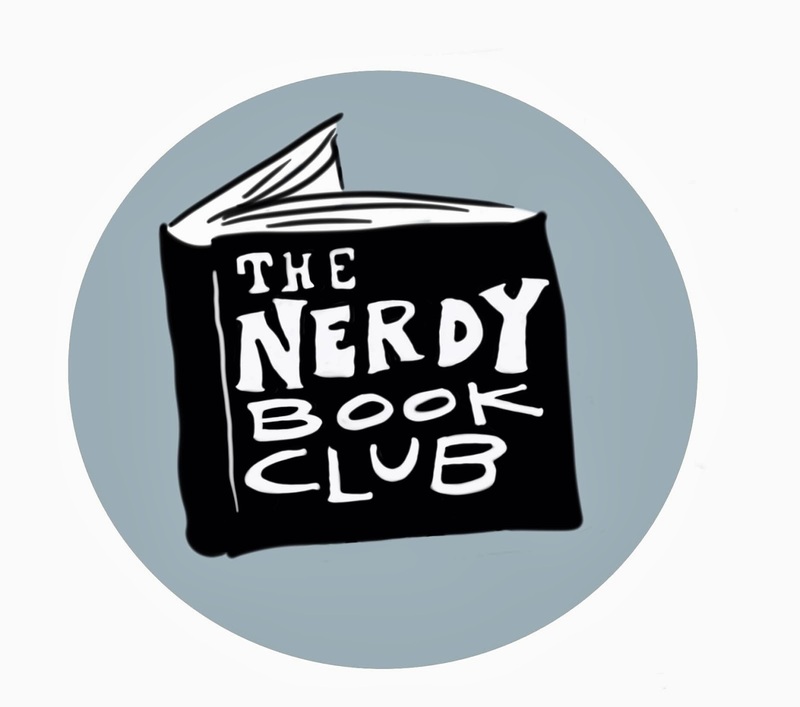 Today I'm sharing the books the Geisel committee handed out awards and honors to this year that I had not read. I also have some books that I found as a result of the actual award winning books. And a new one for this year from a Geisel award winning author/illustrator. I was surprised to see another book featuring Otto the robot be awarded since we just had one win the Honor, but here he is again! Although this time it's his friend Pip that gets top billing. Pip just wants to fly by flapping his... well, arms. Otto tries to help by building a drone-like contraption and while Pip enjoys it, it's not quite the same as flying. Otto ends up putting Pip on the drone and flying him around which suits him better. Cute story, but I think there were some others that stood out even more. 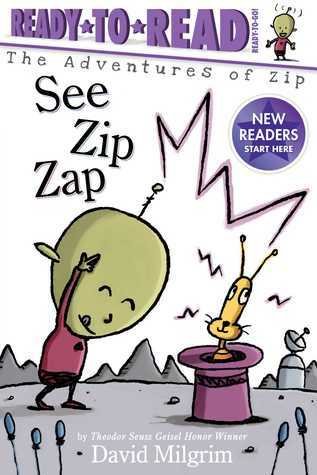 However, if the Geisel committee is truly looking at books for those early readers, the sight words and decodable words in a book like this are just right! Yet another Geisel winner I had never heard of. I made sure to order the book right away and after reading it, I can see why it had been a Geisel contender. engaging story that for a sight word reader, really had a lot of heart! 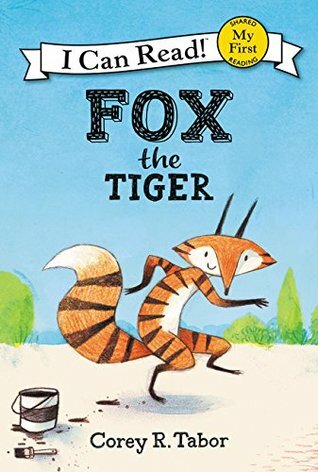 After reading about the mighty tiger, Fox decides that's the animal he wants to be. So grabbing some black paint and adding stripes, Fox becomes Tiger! He sets off a trend because Turtle becomes Race Car and Rabbit becomes Robot (I wonder if Cece Bell knows about this???). It takes Squirrel reminding Fox all of the reasons that foxes are so great before he realizes that he's not so bad after all. And since I was picking up the Geisel winning book I figured I might as well get another book in the series! This one is good too but doesn't have the same heart as Fox the Tiger. Fox is skateboarding past all of the animals and maybe whizzing past them too quickly. They all start chasing Fox as he continues his mad chase to get his lunch. A sweet surprise for everyone at the end. Written by the author of the Otto series, I saw this book on a few Mock Geisel lists and figured I would check it out too. This one is written for readers who learning sight words and word chunks, it follows a pattern of using a lot of words that have -ap and -ip. Great for independent practice, but it often leaves much to be desired for the storyline. 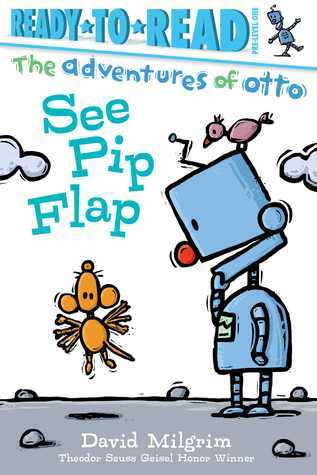 This one is cute, but I was getting confused with the two character names since they are silly (Zip, Chip and Bip....). 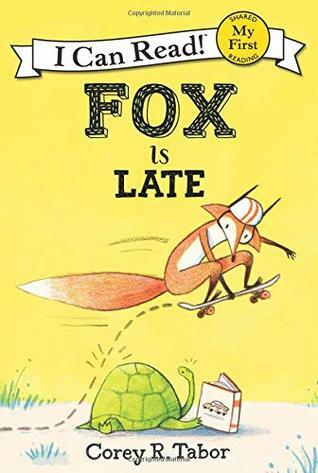 Here's an early contender for the 2020 award and author Ruzzier is no stranger to the Geisel Award having picked up an Honor for this year's Fox and Chick: The Party and Other Stories. What kind of adventures can a boy and his dog have in a day? The book starts out with typical dog tricks, but then moves on to some fancier activities like sailing, building, and then flying into space! 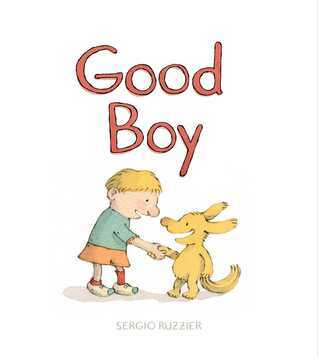 Told with just one word per page, the picture clues will assist readers independently read this fun dog and boy adventure! I'm thrilled with the quality of books we have to offer our readers who are starting their independent reading journey. Which ones are you adding to your library? I love that so many picture book biographies feature people I may not have known without these books. Here are some fantastic new picture book biographies featuring some very instrumental men. This was a fascinating look at Carter G. Woodson, who is the father of Black History. Carter grew up poor, yet his parents both instilled within him determination and the importance of hard work. Then through some unforeseen circumstances and chance meetings, Carter met two men that made a real difference in his life. One, taught him the importance of his knowledge of how to read and how that ability can help him find answers to questions. The other, a college professor, told him that Black people did not have a history. 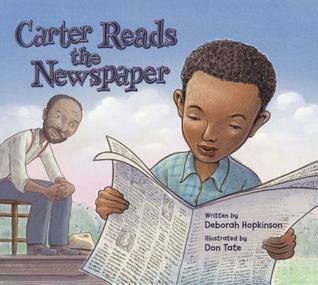 Carter used his knowledge to read and research and tell the stories of African Americans. Because of Carter's work, Black History Month is now celebrated every February. 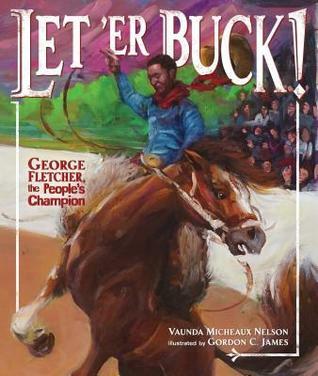 A biography about George Fletcher, an African American rodeo rider in the early 1900s. As an African American, George faced discrimination everywhere he went, and it even caught up with him on the rodeo circuit. We get some early background of George, including his friendship with the Native Americans that lived on the Umatilla Indian Reservation. The main part of the book concentrates on the 1911 Pendleton Round-Up. George was one of three finalists in the Saddle Bronc Championship. Along with George was Jackson Sundown, a Nez Perce Indian and John Spain, a white rancher. Despite putting in the best ride, George placed second. What was surprising, was the amount of white supporters he had in the audience. I really enjoyed the voice of the story. One that begs to be read with some twang in your voice, this definitely put me into the spirit of being at a rodeo! The oil illustrations by Gordon James seemed timeless and perfect for the time period! Don't miss the backmatter - I think it's a great model in that Ms. Nelson fully admits what part of her research was hard to find information on - an important part of the research process, knowing what is accurate and what information you can't find. One thing I have learned, if you're going to read a Nobleman story, you're going t oread about something you may have never heard about before, but it's going to make you stop and really think! 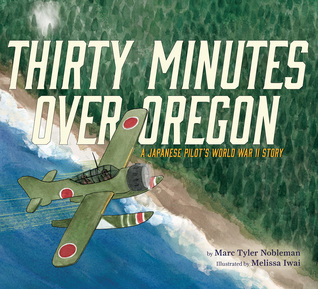 A completely unknown story to me, this is about a Japanese pilot, Nobuo Fujita, who in the aftermath of Pearl Harbor, was ordered to drop bombs in the forests of Oregon to hopefully create mass fires and destroy land and then eventually villages and towns. However, both trips he made ended with bombs that did not detonate, therefore avoiding damage and sparing all lives. The surprising part is that decades later, Fujita was invited back to Oregon as a guest. They were hoping it would be a symbol of reconciliation between the two nations. It was the gesture of goodwill that continued to go back and forth and grow between the two countries that is the amazing story. This book was such a fresh approach to a biography about Elvis - it captures the Southern voice and conveyed information in such a succinct and quick way on each page. 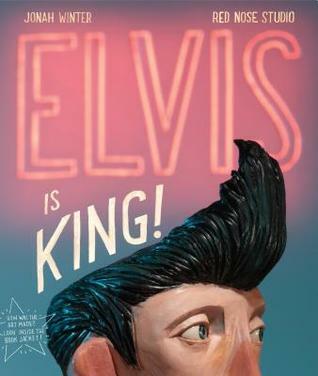 Detailing Elvis' childhood and early rise to fame, it brings the good part of the Elvis story to life for young readers, who may or may not know much about The King! I liked the quick information that told me a lot without it being overwhelming. Lots of facts that will be new to readers are shared. And the illustrations by Red Nose Studio are unique, as always! If you are unfamiliar with the intricate sets the illustrator uses, you're in for a real treat! Hope you found some new books to add to your collection! 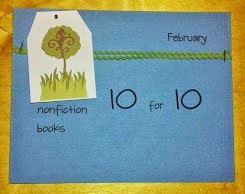 Happy nonfiction reading! Sunday was a picture book binge day! So many great ones to share with you. Since there are so many I'm going to try to stick to a one sentence summary/why you want to read it! Get your library holds tab open - you may want to add some of these! 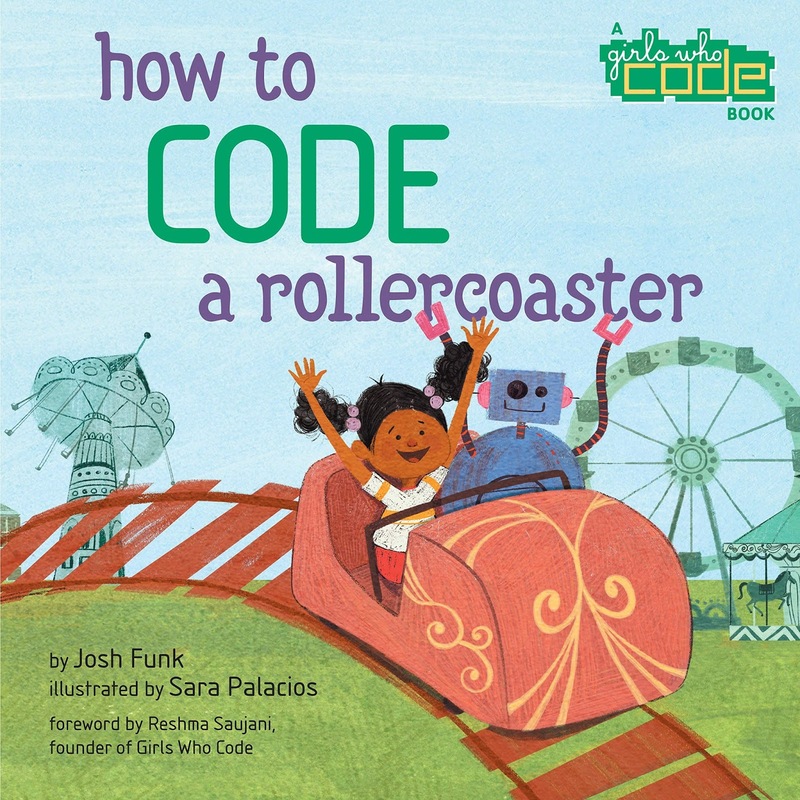 Did you get a chance to look at the cover for Josh Funk's upcoming How to Code a Rollercoaster? 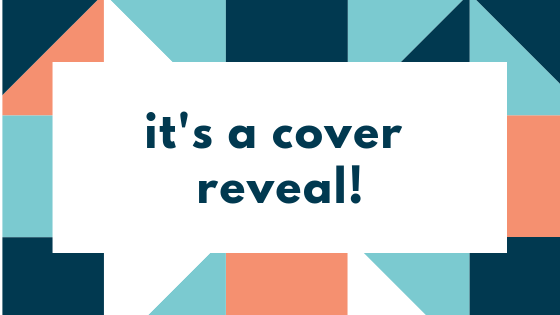 Make sure you stop by this post for a peek and to learn more about the book from Josh! I also have stacks of new nonfiction picture books to share with you! Here's the first installation - books about cooking! When I was at the Wisconsin State Reading Association Conference, author Amy Stewart shared this series as a way to introduce close reading - slow down and notice the details! A book that should be shared with every student regardless of their age! Celebrate what makes you, you! I've seen it happen before - kids getting into another person's space and you notice the discomfort. While this book concentrates on not touching hair, it's a great book to start talking about boundaries and how it's ok to say no. Corinna Luyken is on my buy without thinking about it list. Everything she does is golden. This book is perfect for theme - what does the author want me to know? And for figurative language. And for SEL learning. I could go on but I promised short reviews. Just go buy it. T. Rex wants to give his friend a hug but he feels like his short arms are holding him back. Cute and funny read. A fantastic book to use to talk about perspective and how choosing the way you view things can have a positive effect. Put this book in the hands of kids who enjoy realistic fiction, books written in multiple voices and anyone who loves Because of Mr. Terupt. I really enjoyed this one. We go into Ms. Graham's class where, as a new teacher, she has some new things she'll be trying. The first is having students write in a journal that is just a place for them to put thoughts down, not something she'll be grading. The reader gets to peek into the journals and that is the start of the story. The journal entries, written in a variety of formats including one that has graphic novel panels and another that is free verse poetry, continue to move the story along. 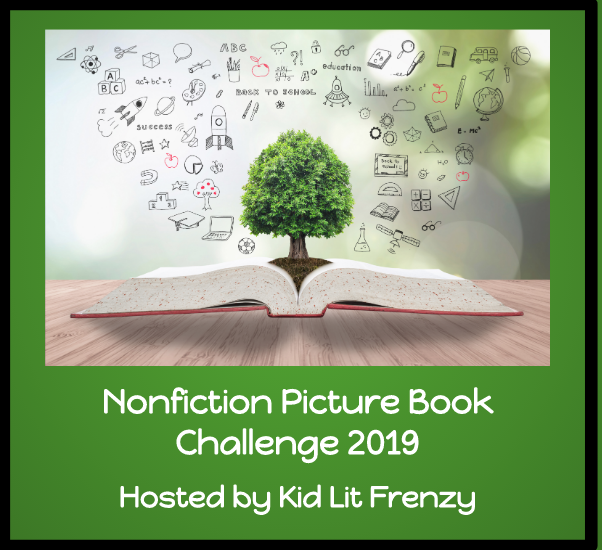 Full of things middle grade readers will relate to - including friendship problems - and issues that may or may not be something they are familiar with - including being homeless and learning about social justice issues. I think hearing from the different voices and in a variety of formats will appeal to a lot of readers. The kids in this fifth grade class will find a lot of new friends with its readers! The first book on my #mustreadin2019 list is completed! I absolutely loved The Seeds of America series and I'm glad I finished this trilogy this year. Having completed Forge in late December, I was glad to continue Isabel's story. While I'm sad to leave her and Curzon, it was a joy to meet them. Fantastic historical fiction for grades 5th and up. I loved the first book in the series and I'm excited to jump into this one! For the small foodie in your life, there are some new nonfiction picture books to share! 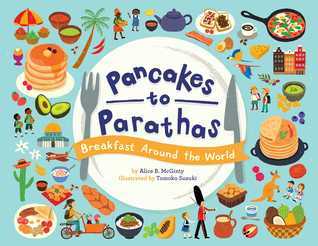 Starting with Australia and ending in the United States, visit 12 different countries and see what the local breakfast fare is for children! Each country has some really different selections, although kids will recognize some of the foods but it may be cooked with different spices or sides. For each double layout, on the left side of the page is a basic introduction of the food and where it is eaten. There is also a small map of the country and the country's flag. On the right side is the proper food name with a pronunciation guide. The food is described in further detail as well as some information about when the children eat the food, how they may get to school, and how weekend food may be different than weekday food. I appreciated seeing the differences celebrated and the similarities noted. This would be a fun book to read and have conversations about. 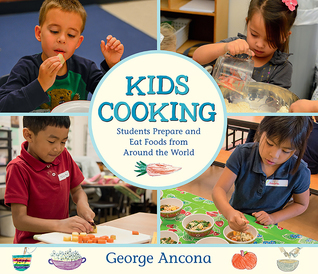 This book details some cooking classes that are held for young children. Parents are at the class, but the children do the majority of work. Several classes are spotlighted and each class the young chefs are making a meal that has origins from other countries. The book shares the different vegetables and spices that are used to create each dish. The young children even cut the vegetables using butter knives! The adults cook each meal and then everyone partakes in the eating! I loved the photographs and I think it will be powerful for young readers to see other kids making their meals! I wish there had been headings to give a visual cue that a new meal was being talked about. Another fun book to have for your budding chefs! Happy eating, I mean, reading! 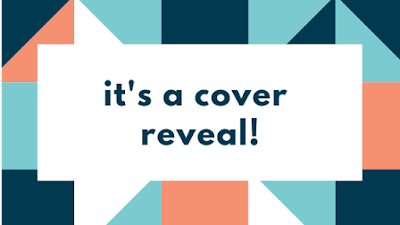 I always love cover reveals! Sometimes I know about a book that is going to be published but I'm not sure what the cover will look like just yet. When I know a little about the book my mind starts thinking of possible cover ideas... Luckily I made the right career choice because what the illustrators and the cover designers do - wow! They come up with way better covers than what ends up in my mind. I am glad you stopped by today because I am so honored to be able to share with you the cover reveal for Josh Funk's upcoming How to Code a Rollercoaster book with illustrator Sara Palacios. How to Code a Sandcastle is a huge hit in my classroom library and I've shared it for #classroombookaday in multiple classrooms and grade levels. I'm excited to see more and more coding opportunities for all students and to see the push for more girls to explore this field. Now let's get to the good part, I know you didn't come by to see me ramble! Josh Funk stopped by the blog to chat about How to Code a Rollercoaster, give us a sneak peek of the cover and chat about coding! Josh Funk: Hey, Michele! 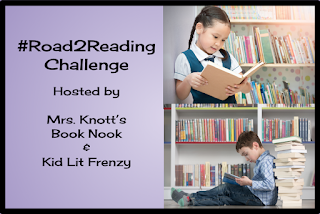 Thanks for having me as a guest on Mrs. Knott’s Book Nook! I’ve been a big fan for years now! MK: I'm grateful our friendship has expanded to burrito lunches now! You've given me a lot of street cred with my students when I get to tell them I've had lunch with the great Josh Funk! But let's get back to your books... Why did you decide to write a series of books about coding? JF: Well, first off, I’m a software engineer. Yes, I write picture books, but I still have the full-time day job of writing code for a living. And for several years I had been trying to come up with a way to combine my day job and the world of picture books. While coding can be a relatively complex topic, some kids are learning coding as early as preschool. There are loads of great fiction picture books with STEM-related topics that can certainly be used to get kids interested in the use of technology. And there are loads of resources out there to teach coding to elementary school children. It was my goal to combine the two - get kids excited about coding, but also learn some of the concepts and terminology along the way. MK: So how did you land on a series focused on a girl and her robot as the way to do that? JF: The truth is, the How to Code with Pearl and Pascal series wasn't my first attempt at writing a book about code. It was actually my third and a half (I’ll explain the half). My first attempt was a sort of Alice in Wonderland / Tron mashup where a brother and sister were sucked into a computer and they needed to find a way home. They met a pointer named Arnie and a pair of witches named Iffie and Elsie (I was probably writing this around the time of the first Frozen movie), and there were loads of inside jokes and by the time I got to the plot I was already on the 40th page of the picture book, and it was way too complicated and frankly, none of my critique partners could understand it. For that half attempt - I had always been a fan of the Sir Cumference and the Knights of the Round Table series, which takes a world that kids are likely familiar with (King Arthur) and teaches a relatively complex topic (geometry). So I thought, maybe I’ll take Greek Mythology, which more and more kids are familiar with nowadays and turn that into a picture book about coding. After enough research, I realized why there are almost no picture books about Greek Myths: there is far too much violence and adult romance for the picture book aged audience (although I love D’Aulaire’s Book of Greek Myths if you’re looking for something). The next attempt was a book about an amusement park - I think I called it Hello World’s Fair - about a girl and her brother who went through an amusement park and used the games and rides to talk discuss coding concepts. It was closer, but it was still too complicated. And finally Jess Keating suggested to me that I write a ‘How-to’ book. Keep it simple. Actually build something - after all, when writing code, you are constructing a program. And that’s when it clicked. Take a kid-friendly activity (like building a Sandcastle) and look at it through the lens of a coder. In How to Code a Sandcastle, Pearl and Pascal using sequences, loops, and if-then-else’s (or conditionals) to build a sandcastle. MK: And today we’re here to reveal the cover of the second book in the series. Can you tell us a little about How to Code a Rollercoaster? Pearl and Pascal take their coding adventures to the amusement park in this follow up picture book from our Girls Who Code program! Pearl and her trusty rust-proof robot, Pascal, are enjoying a day out at the amusement park. Spinning teacups, ice cream, and of course: rollercoasters! Through the use of code, Pearl and Pascal can keep track of their ride tokens and calculate when the line is short enough to get a spot on the biggest ride of them all--the Python Coaster. Variables, if-then-else sequences, and a hunt for a secret hidden code make this a humorous, code-tastic day at the amusement park! In short, the focus of this book is the concept of variables. But we still use sequences, loops, and if-then-else’s here, too. The idea is to build upon what was learned in the first book, but still be able to read this book independently. But for all you writers out there, young and not-so-young - no writing is ever wasted. I was able to reuse a lot that Hello World’s Fair when writing How to Code a Rollercoaster. Maybe not a huge amount of the text, but the fact that I’d already thought about two characters going through an amusement park gave me a huge head start when putting it together. MK: What was it like working with Girls Who Code? JF: It’s been great. They didn’t come into the project until the very end, though. I wrote all of those early drafts and even all of How to Code a Sandcastle prior to connecting with them. When I sent it to my editor at Penguin (she edited one of my earlier books, Dear Dragon), she mentioned that Penguin was about announce a partnership with Girls Who Code, and would I have interest in it being a part of their program. As they didn’t have any picture books planned in the program, I was thrilled to be invited to partner with such an amazing organization with a worthwhile mission. As I look around my day job office, and even thinking back to my days in college, there has always been a dearth of women in computer science in my lifetime. That’s why my main character was always a girl - and she was always named Pearl - both because PERL is a coding language, and my paternal grandmother’s name was Pearl. It’s also been great having Girls Who Code there to fact check everything further to make this book as scientifically accurate as possible. MK: And before we get to the big reveal, what do you think of Sara Palacios’s illustrations? JF: Brilliant! Sara Palacios’s art is better than I could have ever hoped. Her portrayal of Pearl and Pascal and everyone else in the world is fantastic. I so want to go to an amusement park she designs! It’s even been suggested to me that Ada Puglace needs her own spin-off. (Ada and her potty habits play a large role in the plot of How to Code a Sandcastle). And you can mark it Want to Read on Goodreads here. JF: Thanks so much for having me and revealing the cover! 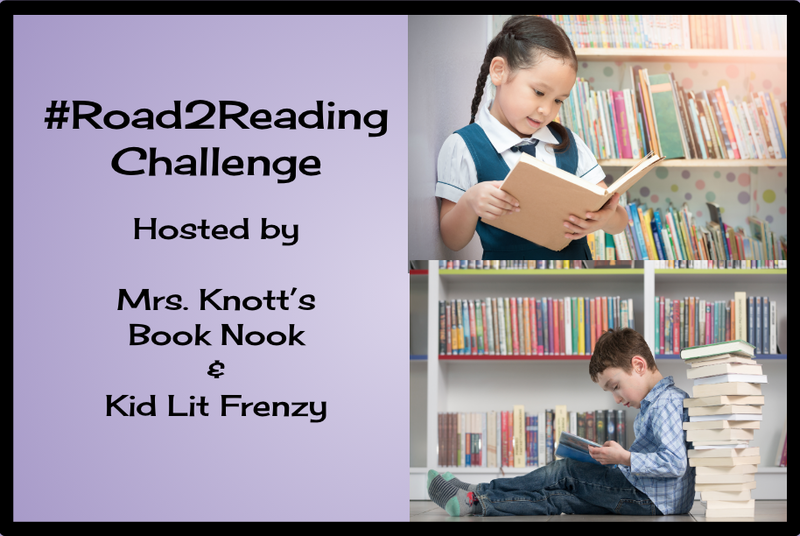 I hope you have a fantastic rest of the school year and I look forward to the Mrs. Knott’s Book Nook App coming next fall! MK: Fall of 2025 maybe. Thanks for stopping by, Josh! Josh Funk writes silly stories and somehow tricks people into publishing them as books - such as the Lady Pancake & Sir French Toast series (including The Case of the Stinky Stench and Mission Defrostable), How to Code a Sandcastle (and the upcoming sequel How to Code a Rollercoaster), ​It's Not Jack and the Beanstalk, Dear Dragon, Albie Newton, Pirasaurs!, Lost in the Library: A Story of Patience and Fortitude (in conjunction with the New York Public Library), and the forthcoming It's Not Hansel and Gretel, It's Not Little Red Riding Hood, and more coming soon! 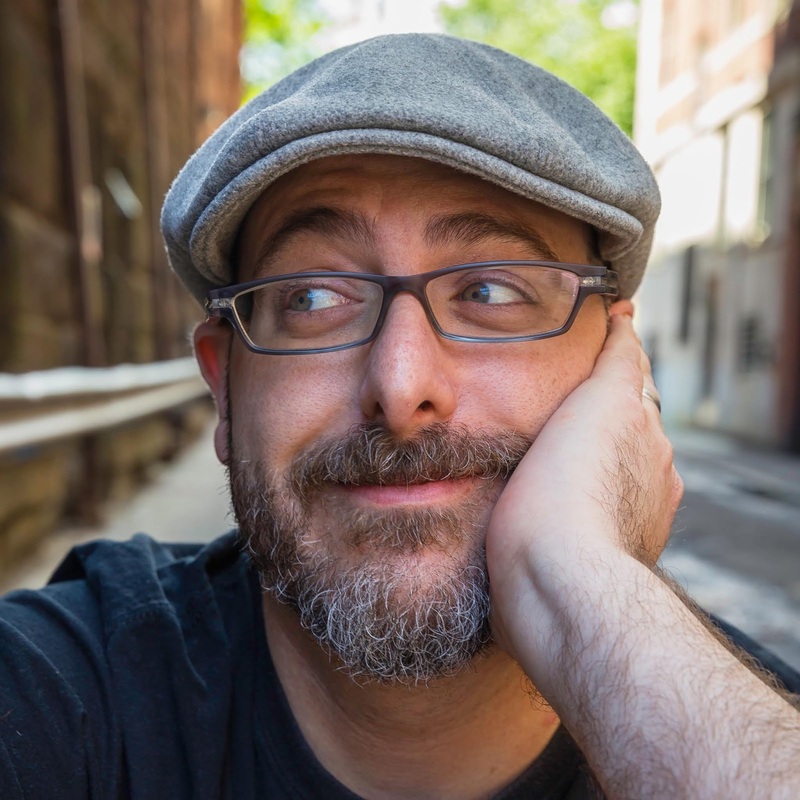 For more information about Josh Funk, visit him at www.joshfunkbooks.com and on Twitter at @joshfunkbooks.